We recommend the available TRD suspension, as it makes the most of the iQ's excellent handling without adding much harshness. The appeal of the 2012 Scion iQ minicar is limited; but for parking-challenged urban dwellers, it's charming. 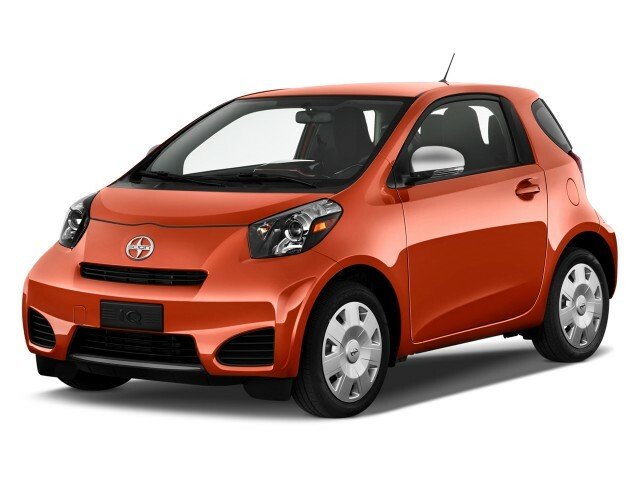 The 2012 Scion iQ—or Toyota iQ as it's known in other markets—was conceived for a part of the world where vehicle choice is largely governed by engine-based taxes, compact-only parking spaces, and six-dollar-a-gallon gas. What is it doing in the U.S., you ask? Well, the Smart Fortwo carved out a very narrow niche of enthusiasm among those who don't necessarily equip bigger with better—as well as those few Americans who live in tight spaces—but Scion hopes to attract a wider range of fashion-conscious urban-dwellers with the iQ. Essentially, the iQ was designed from the start to be a premium minicar, with better materials, better noise isolation, and a more sophisticated feel than you'll find in other budget small cars—and even in the U.S., the stubby little Scion iQ somehow manages to truly buck the econocar feel. There's still its size, which borders on toylike. In its 120 inches of length, Toyota has somehow managed to pull off some packaging magic and fit seating for four in the iQ; actually, the arrangement is termed 3+1 seating, as an asymmetrical dash and more space on the passenger side allow a little more space in the right rear position than on the left. The iQ makes do just fine in the city with its 94-horsepower, 1.3-liter four-cylinder engine and CVT, but the combination doesn't deal as well with quick demands of the right foot, or with highway driving. But the iQ's driving dynamics go well beyond the comfort zone of city blocks, roundabouts, and stoplights—it feels solid and secure on the highway, even at 80 mph. Of course, few if any Americans will actually choose the iQ mainly because of its dimensions, or for its performance. 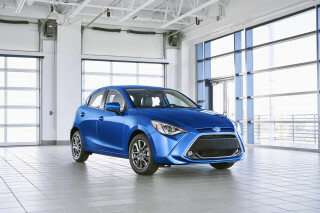 Fuel economy and price are big factors, and we bet Scion will be placing its bets on rising fuel peices—as well as a full roster of aftermarket accessories, which are already in the works. In the first respect, the iQ gets pretty impressive figures of 36 mpg city, 37 highway; in price, the iQ starts at around $16k—which slots well below the Fiat 500 and Mini Cooper. The 2012 Scion iQ is just a roller skate on wheels, but it bucks econocar drab in favor of an assertive, sporty, and nicely detailed look and feel. It's hard to get the proportions right on a minicar. While, to fit adults, it needs to be nearly the same height as other compact cars, the short, stubby look can strike as odd. But the iQ somehow looks like a real car—much more so than the Fortwo—and much of that has to do with its styling and proportions. Toyota turned to a 'J-Factor' design theme, based on Japanese fine art, and completely skipped anything retro. On the outside, there's nothing overly gimmicky about the iQ; with nicely sculpted sheetbetal, a blunt yet curvaceous front end, and the playful curve in back, where the rear window wraps around—and of course those oversize wheels—the iQ feels unexpectedly assertive and sporty. Also, the iQ has several inches more width than most minicars—it's about the same width as the larger Yaris—so that gives the iQ a more stable, road-hugging look from the front or rear (plus more space inside). Inside, the iQ has a few gimmicks—most notably the 'manta ray' theme that decorates the top of its center stack and appears at the door pulls. But if you look beyond those elements, the iQ's interior is remarkably straightforward stylistically, with nice detailing and better trims and finishes, overall, than what we've come to expect in recent U.S. Toyota products. It's the instrument panel that you're likely to focus in on, as there's something odd about it. The passenger side of the dash goes several inches forward of where it does on the driver's side. Scion calls the iQ's seating '3+1'—and it's the smallest four-seater in the U.S. market—meaning there's room for three adults in the driver, front passenger, and rear right passenger positions. Essentially the front passenger seat goes farther forward, to allow easier access and more space on that side. The asymmetry might feel odd at first, but it's a detail we adapted quickly to. The 2012 Scion iQ isn't at all quick; but it's grippy and composed in corners and surprisingly fun and tenacious in the twisties. The iQ's 94-horsepower, 1.3-liter four-cylinder engine is one of the smallest, weakest engines for the North American market, yet it can move this little 2,100-pound, front-wheel-drive minicar just fine. Provided you're running around town, or in the suburbs, on mostly level roads, the iQ feels mostly responsive and at ease. With dual variable valve timing, the engine feels quite flexible and isn't peaky in the way that the Smart's three-cylinder engine is. And while no manual gearbox is in the works for the U.S. market, the little four works quite well with the belt-and-pulley continuously variable automatic transmission (CVT), which gives the engine enough revs when needed and avoids two common annoyances: the 'rubber band' feel to throttle response, and a surging feeling during moderate acceleration. Part of the reason why the CVT in the iQ feels so responsive, we observed, is that its top ratio isn't really that tall. At highway speeds of around 70 mph, the tach was showing the engine spinning closer to four grand than three, which simply means that when you need more revs for passing, it's already much of the way there. While the iQ can feel frisky, looking at a stopwatch will give you a reality check; it's actually very slow. Official 0-60 times are a finger-tapping 11.8 seconds—putting the iQ in the same range as many economy cars of the 1980s. Whether on a curvy road or out on the highway, the iQ's width and excellent suspension tuning really makes a difference. The rather firmly tuned suspension loads and unloads in a very stable, progressive way—and being about the same width as a larger subcompact or compact makes it much more confident. Its electric power steering, too, dials down to allow a heftier, more stable feel on the highway while being quite communicative on those twisty roads. All models have front discs and rear drums, and brake feel is confident enough for all city-driving needs. The iQ's turning radius is an incredible 12.9 feet. When we made a wrong turn on a narrow two-lane road, we were able to pull off a painless U-turn, barely needing the shoulder. Looking at the 2012 Scion iQ from the outside, at first glance, it's very hard to believe that Toyota has managed to provide seating for four in this minicar. 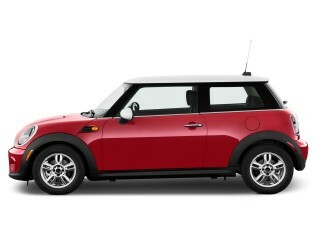 In fact, the iQ is the smallest four-seater in the North American market. Scion calls the iQ's seating '3+1'—meaning there's room for three adults in the driver, front passenger, and rear right passenger positions, with a smaller, child-size space behind the driver. One of the keys to actually making this work is a unique asymmetric layout. The passenger side of the dash goes several inches forward of where it does on the driver's side, and the entire passenger seat tilts forward for easier access on that side. Toyota even designed all-new slim-back front seats for the iQ; they actually feel more supportive and better proportioned than those in the Yaris or Corolla, yet they help maximize every bit of potential rear kneeroom. Mostly, it works. This very lanky driver couldn't quite fit comfortably in the rear right position, but we saw an average-height female do just fine with another passenger scooting the front seat a bit forward. Overall, you're not going to find people volunteering to sit in your back seat with the iQ, but the space is there in an absolute pinch. Toyota has also done a lot from an engineering and design standpoint to maximize interior space, with a details like making the fuel tank shallow, under the floor, and moving the climate-system blower away from the footwell and instead inside the center stack. And inside, the blower motor for the climate control system has been located inside the center stack, not at the front of the passenger-side footwell, as it often is in other small-car models—allowing the passenger-side footwell to be a little roomier and assisting that '3+1' layout. You'll probably be keeping the rear seatbacks flipped forward, where they settle flat, to a low cargo floor and 16.7 cubic feet of cargo space—easily enough for a sizable grocery run. With the rear seats up, there's just 3.5 cubic feet of cargo space—basically space enough to wedge a few hardcover books into the space. Seriously, it's not even enough for a laptop bag (although there is a small cargo tray underneath). And we were a bit surprised to see that Toyota used removable headrests in the iQ's rear seat; most automakers have no opted instead for flip forward headrests as the removable ones tend to be lost. However, in the iQ, they stack unobtrusively under the cushions. In most respects otherwise, the iQ feels up to U.S. standards in most respects; there are plenty of large cupholders, an extra auxiliary 12-volt outlet for accessories, and both side windows are auto up/down. And Scion has borrowed an element from air travel—pivoting LED dome lights that will likely never need bulb replacement and can of course be aimed away from the driver. However we found the orange LCD trip meter much harder to read in bright sunlight. The only gripe that might keep some from getting absolutely comfortable in the iQ is that there's no telescopic steering adjustment. A leather-wrapped, flat-bottom steering wheel—with audio controls—is standard, though. And throughout the interior are superb materials and trims—ones that feel a distinct step above those Toyota uses in the Corolla and Camry. Ride quality in the iQ isn't soft and supple, but it's not too harsh either. 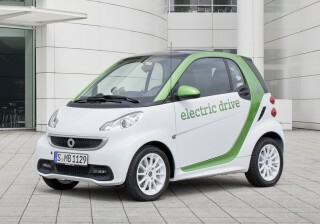 Compared to the Smart Fortwo, however, what's more important is what the iQ doesn't have. In addition to the great steering and unfussy transmission, it doesn't have the excessive fore-and-aft movement with acceleration and braking that make the Fortwo so fatiguing in city driving; it also tracks solidly down the Interstate—meaning that a few hours on the highway for two adults is not at all daunting. In terms of refinement, the iQ really does feel like a premium offering—even compared to somewhat larger but cheaper cars, like the Nissan Versa. There's not all that much road noise or wind noise on the highway, though you do hear the engine somewhat. Factor in elements like an acoustic windshield (comparable to that in the Toyota Camry Hybrid), and the iQ does a great job damping some of those traditional econocar buzzing sounds and general coarseness. Underneath the dash there's an additional silencer, the floor panel is crowned to curb vibrations, and the roof and pillars are filled with urethane sponge material. The 2012 Scion iQ is a true minicar, but it's packed with big-car safety features. The 2012 Scion iQ is an all-new model, so we can't say about its safety. 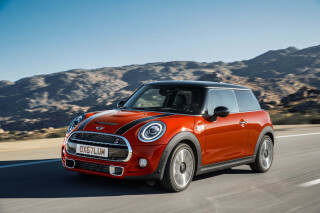 But it does have an astonishing eleven standard airbags—including driver and front passenger knee bags, and a world-first rear-window bag—as well as standard stability control and ABS. And while U.S. ratings aren't yet out from either of the major testing agencies, we do find the iQ's five-star Euro NCAP ratings—including a better score in adult occupant protection than the Volkswagen Polo—to be very promising. As the Smart Fortwo has shown, you don't need size and mass to offer good occupant protection; however, commuters should be aware that lighter vehicles are at a disadvantage in multiple-vehicle accidents. The 2012 Scion iQ is well-stocked with the convenience and connectivity features busy commuters like—but its somewhat higher sticker price represents that. The 2012 Scion iQ is being sold as a premium mini—meaning that (starting at $15,955) it's not nearly as cheap as some of the entry-level economy cars, but it doesn't have any of that econobox feel—either in appointments or features. Air conditioning, power accessories, a trip meter, and a rear defogger are included on all iQs. And the power windows have a one-touch auto-up/auto-down feature, which a number of inexpensive vehicles don't include. Even more impressive is the suite of audio and connectivity features that are included across the model line. Entertainment is provided by three all-new Pioneer-sourced audio systems. Both—like all new Scions—come with Bluetooth hands-free calling and audio streaming plus HD Radio, and the base system even includes USB and aux-in connectivity, a multi-format CD player, two RCA inputs, and 160 watts. A premium system that's optional brings Pandora internet radio compatibility (when a smartphone is paired), iTunes tagging, six RCA inputs, album art, and 200 watts. And at the top is a nav system, integrated into the audio head unit and upgrading to a seven-inch screen, DVD player, and iPod video input. An aftermarket-accessory backup camera is fully compatible. As with the rest of the Scion models, the iQ can be equipped with a number of port- and dealer-installed accessories, including TRD lowering springs, a TRD sway bar, upgraded 16-inch alloys, and various trim and appearance upgrades. The 2012 Scion iQ works out to be a green choice for low-speed city commuters, but it's somewhat thirsty for a mini on the highway. You might expect a car the size of the 2012 Scion iQ to crank out 60 or 70 miles from every gallon. But you'd be wrong; the thing is, minicars like the iQ, while lighter, still have to push just as much surface area through the wind at high speed, and tires have nearly as much rolling resistance. On the highway, the iQ doesn't nearly approach expectations. 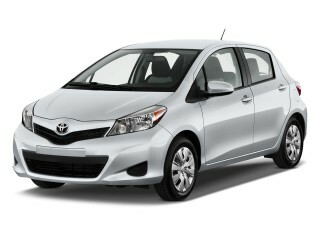 The iQ's EPA city rating is an excellent 36 mpg, but its highway rating is a hybrid-like 1 mpg higher, at 37 mpg. On the highway, that's a few mpg behind much larger sedans like the Hyundai Elantra and the likes of the Chevrolet Cruze Eco and Ford Focus SFE. At root of the issue is likely that a rather low top-gear ratio for the CVT has the little four spinning up near the 4,000-rpm range in brisk highway driving. Over several scenarios of hard stop-and-go and enthusiastic highway driving (pretty much worst-case-scenario) during a first-drive opportunity, we saw figures in the upper 20s. All this said, the 2012 iQ is arguably a little more fuel-efficient overall than the other mini that it compares most readily to, the Smart Fortwo. With its 37-mpg Combined figure, it beats the Fortwo by 1 mpg—although the Fortwo's 41-mpg highway figure is quite a bit better. perfect car for around town. I own 4 cars, this is the one that I prefer to drive, even on long trips. Looking for a different year of the Scion iQ?